The Adventurer: Sesame Ginger Nama Sauce combined with a colorful mix of corn, beets, broccoli, dark greens, shredded cheddar, tofu & tamari almonds over quinoa & short grain brown rice. 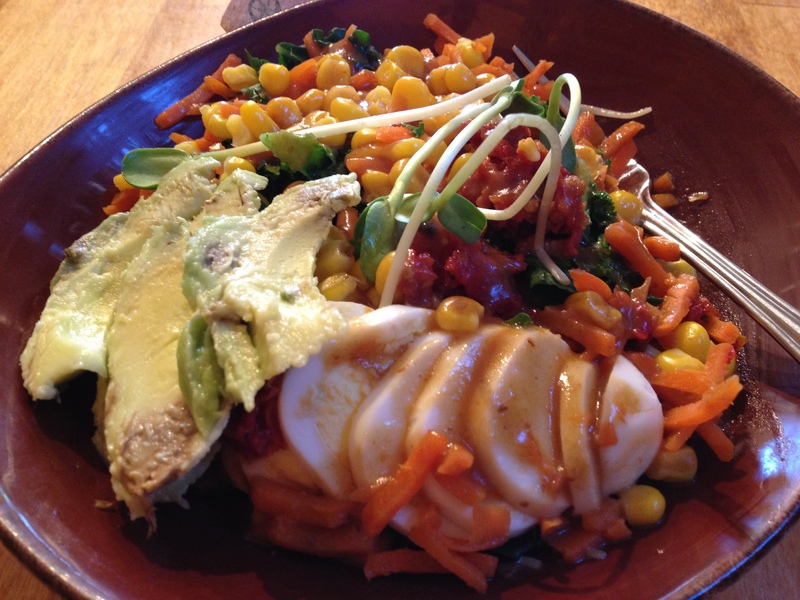 My friend gushed: “It’s just amazing food, this big bowl of cozy, comforting vegetables.” I cringed. Cozy is the BBB, soothing is Mio’s Mac and Cheese. Vegetables are crisp, refreshing, something you eat too much of when you’re trying to fit into a bathing suit. Since it’s November, I’m less in the market for vegetables these days. Plus, its the holidays. I want things smothered in gravy, not sesame ginger nama sauce. Life Alive Cambridge (they also have locations in Lowell and Salem) does not have gravy. Or meat. It goes without saying that the place is proudly vegetarian, with Bragg’s Apple Cider Vinegar and Nutritional Yeast Flakes as condiments. 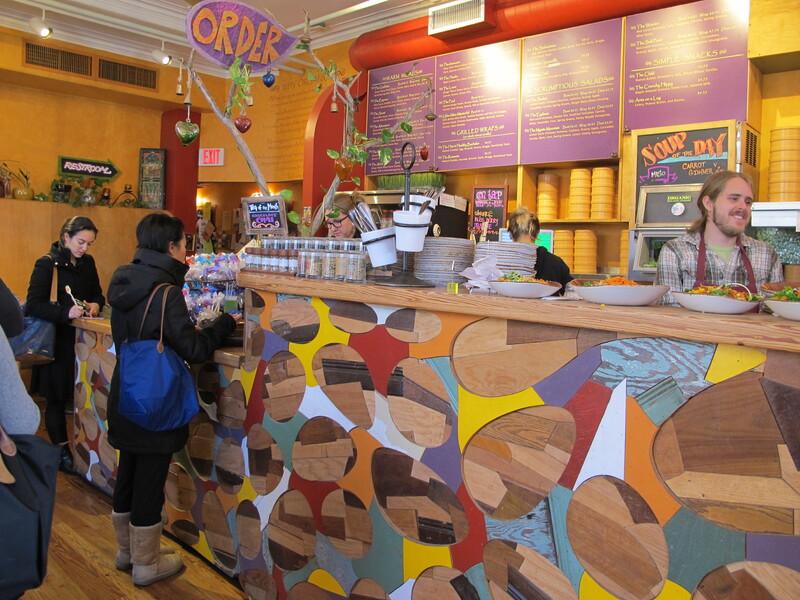 They have reusable silverware and bowls, and bins for compost, trash, and recycling. They are VERY Cambridge. Here’s the thing: the food is delicious. My friend was right – cozy and soothing actually does describe the steaming bowls of vegetables (also available as wraps). I don’t usually seek out rice or beets, but my favorite dish here has both of those things. The names of the sauces are largely unrecognizable, but they all translate into rich, layered flavor. A “demi” size portion is perfect for lunch, a full bowl is perfect for dinner. Want some extra protein? Add an egg or some avocado. 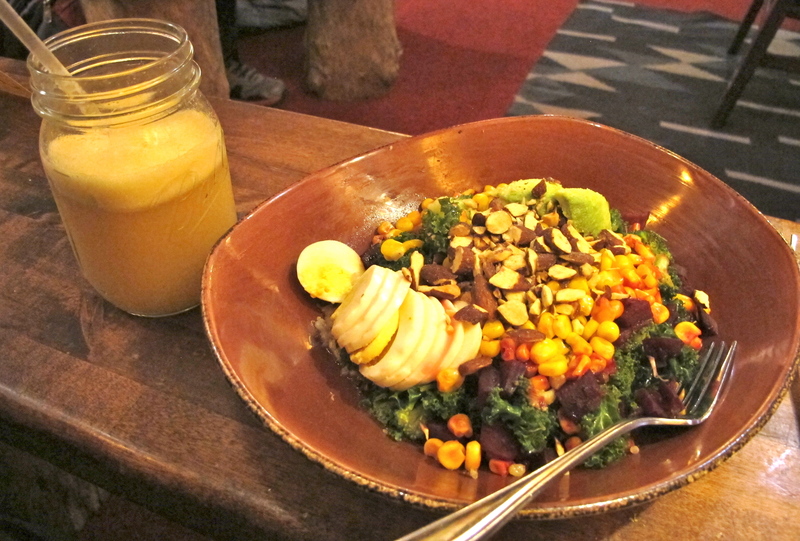 They also sell fresh kombucha, juices, and smoothies – the last I’m staying away from, just so I don’t get hooked and remember that vegetarian food can pack on the pounds too. If you need to take a break from holiday eating for a meal or two and feel good about yourself, go to Life Alive. Something tells me that come January 1st the lines will be much, much longer. Kate: Actually, this sounds like a great adventure for my next Boston trip. Like you, I will certainly resolve to eat there (& similar restaurants) after the Holidaze! Also, I just returned from a week in Pgh. The town is booming & has some great new restaurants! I’ll send you some of the ones that I visited so that you can show Dave & your parents.